Gentry Smith, the creative catalyst behind Gentry Smith Design, LLC and Fishbum, is an accomplished illustrator, graphic designer, photographer and writer living in Chandler, Arizona. In addition to his creative endeavors, Gentry enjoys fly fishing and other outdoor recreational activities. He and his wife, Michelle, have an awesome lab named Catcher. Gentry created “Fishbum” to distinguish his creative work related to fly fishing and other outdoor recreational activities. Under his Fishbum brand, Gentry has produced a line of apparel (featuring his original art and designs), contributed manuscripts and photography to periodicals, developed presentations, and created identity packages (logos, websites, etc.) for several clients. Providing informative manuscripts and stunning photography since 2012, Gentry is a regular contributor to SWFF magazine, a collectible reference of Southwest angling destinations covering locations in Colorado, Arizona, Utah, New Mexico, Texas, Nevada, Central to Southern California, and Mexico. 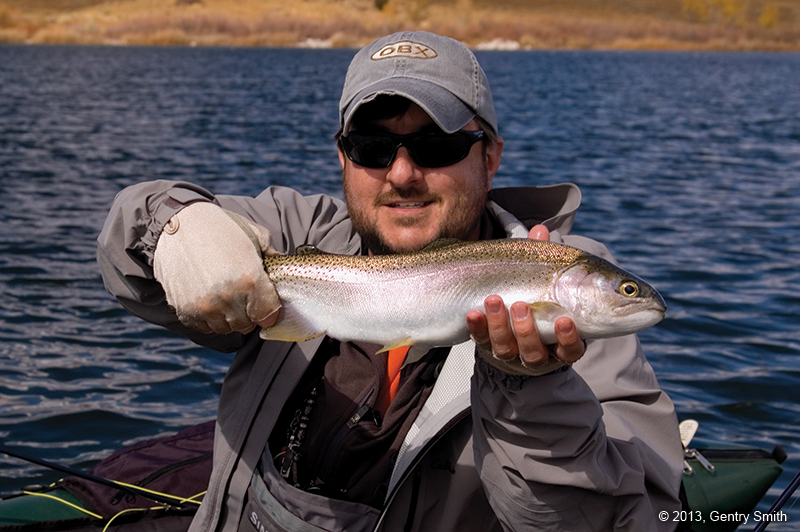 Gentry’s feature contributions include, Lees Ferry, AZ: Self-Guided Float and Fish Adventure, and Becker Lake, AZ: Arizona’s Newest Trophy Trout Lake. An associate board member since 2010, Gentry donates his professional design and marketing services to WMLF, a nonprofit organization dedicated to the conservation, protection and restoration of Arizona’s White Mountain cold-water fisheries. His creative efforts include designing the organization’s logomarks and website. In 2011, Gentry was awarded a Lifetime Membership by the WMLF Board of Directors for his creative contributions. Gentry is actively pursuing his FFF CI certification through the organization’s mentoring program. Gentry is an Aquatic Education Instructor for Arizona Game & Fish Department.